Beaches can be a sad sight this time of year. After months of being packed with people, many beaches have quite a bit of litter on them. Fortunately, Edisto Beach is not one of those beaches. Although most people who visit Edisto are respectful of its natural beauty and clean up after themselves, by summer’s end it is inevitable that some items are left behind. That’s why Edisto Pride sponsors a beach cleanup twice a year. 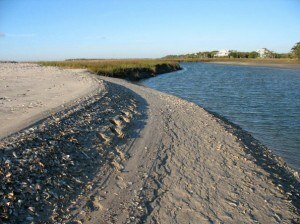 Edisto Pride partners with FRESPACE, Edisto Beach State Park, the town of Edisto Beach, Edisto Watersports and Piggly Wiggly to provide volunteers with a chance to get out on the beach and in the creeks and keep them clean. The upcoming beach sweep will begin at 9 a.m. Sept 15. Volunteers can register at the first beach access by the Pavilion. The event is free and gloves and trash bags are supplied. Volunteers will be expected to pick up any trash on the beach including in the dunes. This protects the environment and wildlife in the area. Many times trash left behind can be eaten by an animal, which results in illness or death. Trash can also impede the sea turtles when they come onto land to nest or travel back to the water after hatching. Cleanup will last until noon. There will be a luncheon provided by FRESPACE for those in attendance at the state park. For more information about the event email Edistopride@aol.com. Also, if you’re a fan of walking on Edisto Beach, it’s a good idea to bring along a small trash bag so that you can collect trash during your walk. This helps the beach to remain free of trash all throughout the year. Plus, it’s always good to make sure the place we all know and love stays just how we like it.